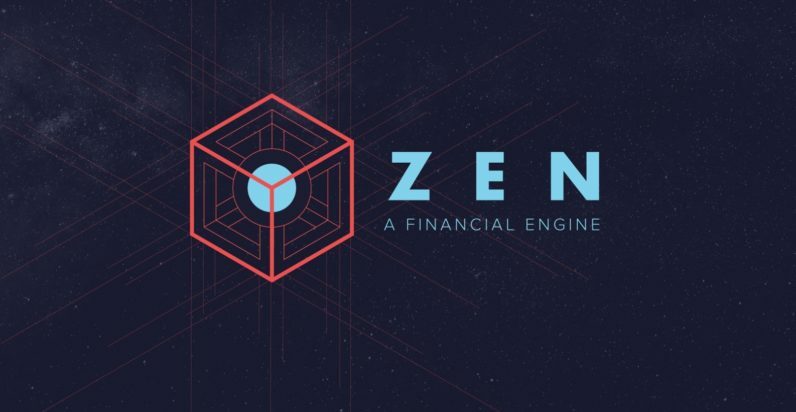 Zen Protocol (ZP) came out of stealth mode earlier this month to present an alternative to Ethereum. ZP is a platform designed to make moving Bitcoin and other assets with smart-contracts easier, more efficient, and friendlier to noobs where it matters: in their wallets. It’s integrated with Bitcoin and supports multiple assets. It was built from the ground up to do more than simply manipulate Bitcoin, though. ZP’s website describes it as a blockchain for finance. When we started Zen Protocol it came from this idea that we could probably do better than Ethereum. Then, once we really did our research, we knew we could definitely do something better. We’ve always had this motivation to allow people to use Bitcoin easily. What Zen Protocol does better is create a blockchain that eliminates some of the problems with Ethereum smart contracts, like running out of gas. For the uninitiated what this entails is sending a transaction that contains the correct currency amount, but not enough ETH (the “gas” in question). When this occurs, sometimes the result is that your transaction simply fizzles out and your initial currency is returned. Other times, your currency ends up in limbo. One Reddit user found themselves out-of-gas and, at the time, out $32 worth of ETH. The whales out there might not care about losing $32, and others might point out that it’s a rookie mistake to move contracts without enough ETH, but at some point we’re all rookies. And $32 worth of conventional wisdom will tell you that throwing away money is no way to get ahead in the finance game. With ZP, contracts won’t try to execute unless the proper amount of ‘gas’ is included, and miners know that cost beforehand. Zen Protocol seems like it could be a better system, and it’s got all the right boxes checked. It runs parallel to Bitcoin, so if you’re a ZP node you’re a BC node. This ensures it’ll always be scaleable with BC, and support for external assets means smart-contracts can replace the need for any third-party accountability. It’s secure; every contract comes with digital proofs. One of the problems is people are financing the wrong things, there’s a lot of mis-education. There’s a coin for everything, everyone saw that Bitcoin was really good at being money, so they thought let’s do that. When, in most cases it’s probably better just to use Bitcoin. The ICO craze is setting up a straw-man argument. But cryptocurrency isn’t going anywhere. If cryptocurrency fulfills its promise the blockchain will eliminate the idea that someone else has to hold your wealth. Solving the ‘gas’ problem alone makes ZP look like a viable alternative to Ethereum — especially for people just now getting into the cryptocurrency market. Keep in mind that ZP is new — we’re not comparing it’s value to the actual market value of Ethereum. You should always do your own market research before deciding where to invest your money and what platforms you use for transactions.